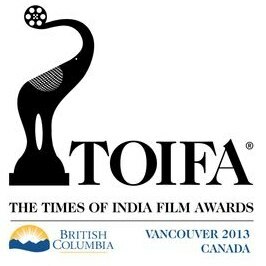 The nominations for the TOIFA Awards 2013 in Vancouver, an event that will be hosted by Bollywood stars like Ranbir Kapoor, Anushka Sharma and Bomban Irani. The inaugural Times Of India Film Awards will be held on April 12 2013. Full list of nominations below. what the hell**** these awards i hate ranbir kapoor n don’t know why he is such an overated actor i don’t like his acting even in one single movie. Best Actor has to be Hrithik. I say it again- reenacting an iconic role made famous by Big B is a HUGE task but done fantastically well by Hrithik. Everyone knows how hard such a task is, just look at the way SRK portrayed Don in an unintentional comical way by being wat too ‘over the top’. Hrithik deserves this plaudit so all the best. Best film- why is OMG- Oh My God omitted again is a joke. It deserves a nomination and as an art film it was one of the best ever made. Good list but the last name in the best actor male category ruined this list otherwise all others are deserving people in the list. Now,Salman will not buy this award.Because he is not even nominated in Best actor [email protected],budhha bhai still rocks. Where are ‘Special Appearance’ awards? Who cares those awards!but when it comes 2 honesty, hrithik,irfan,ranbir,vidya,pc are deserving fellows..sonu nigam should be best singer,nt d bathroom singr ayushman who was given fr bst singr in fakefare awards…he deserves nly d bst debutant awards..
@king khan, what’s wrong with you? you want to watch stars like srk and salman who can’t even act to save their lives? @Navin, hrithik and srk are the least deserving actors in this nominees. and you are saying hrthik should win. funny. @indicine its april 6th not 12th nd i cant wait to goo seeing king khan is going to be a dream come true ! Feel bad for the ppl outside of Vancouver! Irfan khan all the way. Annu Kapoor for Supporting Role Male in VICKY DONOR. 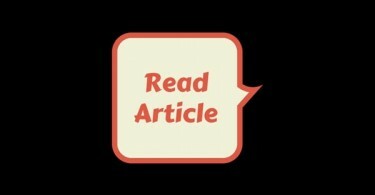 . . . .
Anushka Sharma for supporting role female in JAB TAK HAI JAAN…. Rishi Kapoor negative role in AGNEEPATH..
Best Comic Role – Abhishek Bachchan for BOL BACHCHAN…. Best Lyrics – Gulzar for the Amazing Song SAANS. The 0ther 3 actors got the look as bollywood heros.. but Ayushman doesn’t have a great look.. he’s a junior actor, second category.. so why this hangama in bollywood for Ayushman?!!!! !